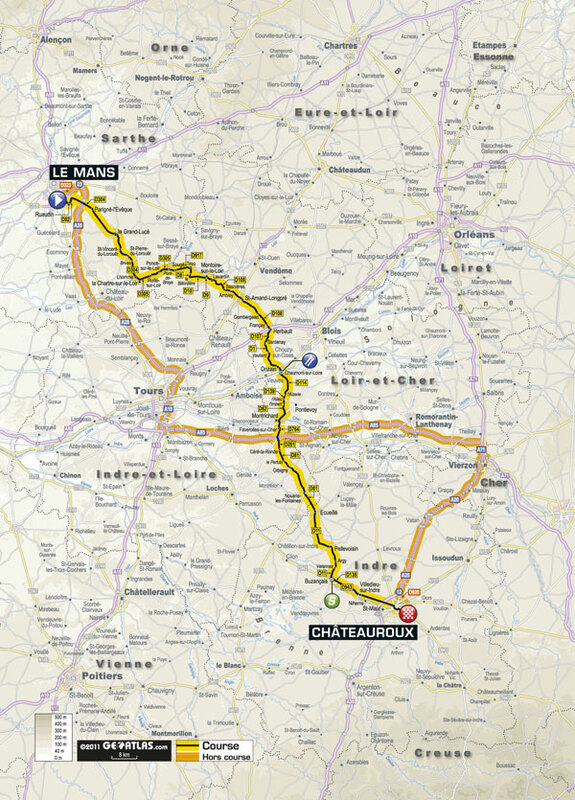 Châteauroux was the scene of Cavendish’s first Tour stage victory in 2008, and the Manxman needs a repeat performance if he has any hope of wearing the green jersey come Paris. The run into the finish is similar to the stage three years ago, and although there is only one intermediate sprint today, that’s still more than the number of classified climbs along the 218km route. The final kilometre is completely flat, too. Over to you, Cav.